Updated Tuesday December 11, 2018 by PVGS Web Admin. 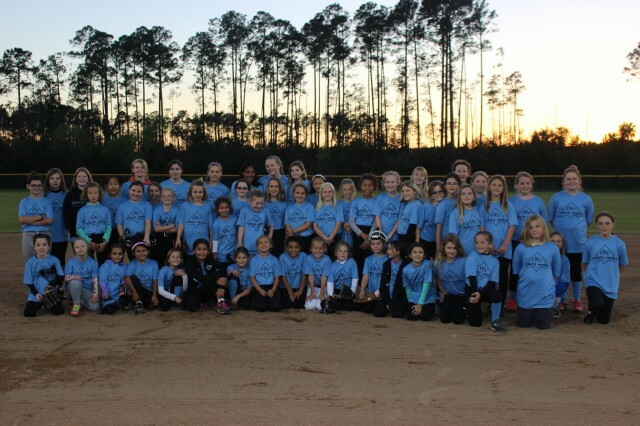 Registration is now open for Ponte Vedra Recreational Softball! Please contact Coach Michelle at mcampbell@pontevedragirlssoftball.com with any questions about registration. Registration will remain open until February 9th, 2019. Evaluations will be held on FEBRUARY 2ND from 10am-12:30pm at Five Tool Training at the Above Athletics Center 14797 Philips Hwy, Jacksonville, FL 32256. Please arrive at 10am for our parents meeting while the players go through evaluations with our staff. *Fees do not include online registration and processing fees. Scholarships are available for girls who are on free or reduced lunch programs. Please contact pvgspresident@pontevedragirlssoftball.com for scholarship eligibility. Practices with FTST - Per player fee for 5 training secessions on Tuesdays and individual practices run by Five Tool Softball Training staff. Five Tool Rental for Skill Night - This replaces the cost of field rental for skill night at Davis Park. League Management Fee - Per player fee league pays outside service provider (Five Tool Softball Training) to; run evaluations, arrange umpires, volunteer coaches selection & training, maintain email contact system, fit & order uniforms, order coaches shirts, keep website updated, order year end recognition gifts, maintain equipment, order annual use items, order game balls, book field space with County, confirm team schedules, communicate team schedules, maintain the leagues Facebook page, and other items as needed. Uniform - Fee for uniform (Shirt-Socks) for each player. Each player is responsible for providing their own black game pants to complete the uniform. SJC Field Usage & Light Rental - County Fee to rent fields at $25 per lighted hour per field (This amount is determined based on the number of planned games and practices and is subject to weather. If rain outs occur then the league keeps the money for its future equipment needs.) We have added two additional team practice dates per coach/player request. SJC Field Maintenance Fee - County Fee per player charged for field maintenance. If out of St. Johns County (Jax Beach Duval) the St. John’s County fee is $5 more and will be collected from those parents individually. Coaches Polos - Per player fee to purchase one polo for each volunteer coach.